Users have found that Facebook's iOS app refreshes in the background even when that feature is disabled. Here are some battery-friendly ways to browse Facebook. Facebook’s iOS app is robust and fast, especially considering it gives you instant access to connect with over a billion people all over the world. But that doesn’t mean that the app is free from flaws. One of the main issues with Facebook’s iOS app is that it’s constantly draining battery life. A few users even reported that Facebook has found a way to have the app run processes in the background, even when Background App Refresh has been disabled. “That extraneous background usage, despite not providing any value to me at all, is keeping the app alive 2x longer than my actual usage,” Circa co-founder Matt Galligan wrote on Medium. Ironically, Heer found that one of the ways to limit this excessive use of battery life on your iPhone is actually to turn on Background App Refresh for the Facebook app. “The fact that a company the size of Facebook can’t optimize energy consumption of their iOS app is simply ridiculous. If they can but don’t want to (because of processes they want to run in the background, constant notifications, etc.) – well, that’s even worse,” wrote Federico Viticci on MacStories. Facebook has recently been made aware of the issue, even though it’s been happening for years according to some users. “We have heard reports of some people experiencing battery issues with our iOS app. We’re looking into this and hope to have a fix in place soon,” a Facebook spokesperson told TechCrunch. Facebook updates its app frequently, but has a terrible habit of not disclosing what those updates contain in the App Store’s update notes—users generally have no way of knowing if any single update will make things better or worse until after they’ve installed it. The impact on you: If “soon” is not soon enough, you may want to consider uninstalling the iOS app until Facebook fixes the battery-draining issue. In the meantime, here are some battery-friendly ways you can browse the site. 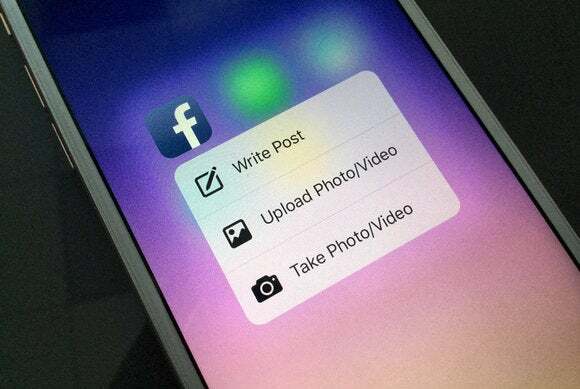 You can replace the Facebook app with Paper, Facebook’s leaner standalone app. 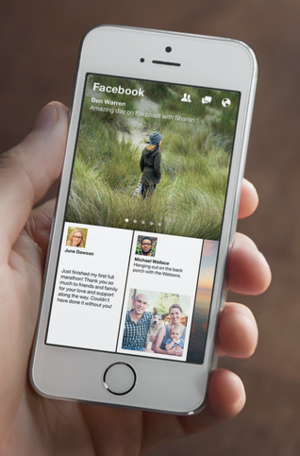 Paper surfaces your News Feed in a more immersive layout. You can post a status update, like or comment on your friends’ posts, and view photos and videos. Another alternative is to log on to Facebook via the mobile web. Even though mobile browsers like Safari and Chrome tend to take up some serious resources as well, Galligan found that the Facebook app drained more battery life than Safari. “Even the resource hog Safari drained 3 percent less over the last week despite being on the screen for half an hour more,” Galligan wrote.